Congratulations to all of our 2016 high school and college graduates! 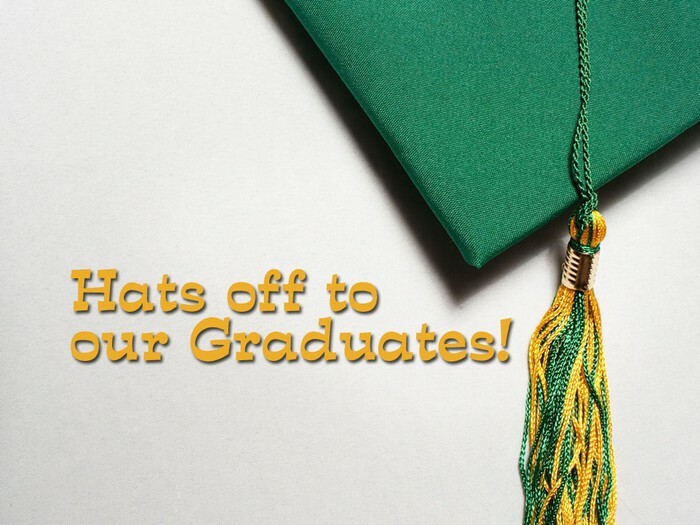 We will honor our graduates this Sunday, May 15, at our 10:30 am service. Is serving communion for you? Have you ever wondered what is involved in serving communion? Have you ever wanted to be invited to serve communion? Have you doubted if you are worthy or capable? Whether you have been serving, or are curious about serving, you are invited on Monday, May 16, at 1:30 pm or 7:00 pm to learn, to sign-up and to have questions answered. This is a wonderful way to serve Christ as you become more involved at Cornerstone. 11:45 am. All women are welcome to attend. The Young Adult Group is having a bonfire/BBQ on Friday, May 20 at 6:00 pm at the church. We will conclude our study on “Letters to the Exiles” and roast hot dogs and marshmallows. Anyone over age 18 is invited. Help save lives by giving blood at our Blood Drive on Friday, June 10, from 2:00 pm until 6:00 pm. Make an appointment at www.redcrossblood.org and use sponsor code cornerstoneumc to find our drive. 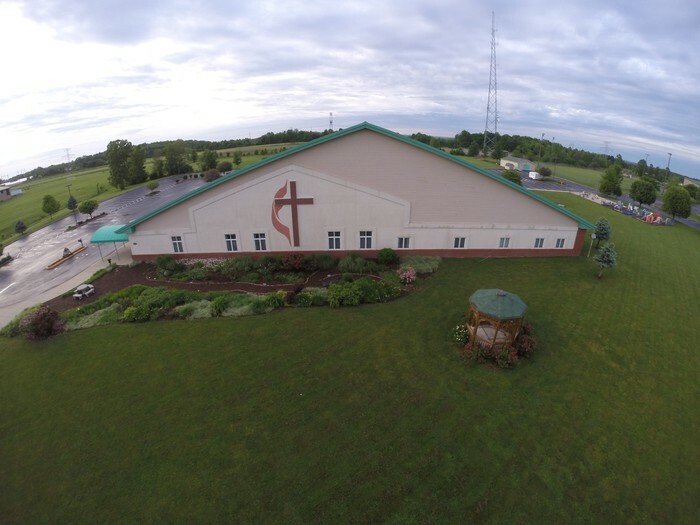 Your financial offerings to Cornerstone are crucial to the success and excellence of this seven-day a week ministry. Thank you for your continued, consistent, generous support of this ministry for Christ. It’s important for you to do a few things in order to make it easier for us to keep track of your contributions and make sure we know to what you’re contributing. First, make sure you’re writing out your check accurately, especially using the correct date on the check. I know it sounds silly, but it’s easy to be distracted and write out the wrong month, day, or year. Also, please make sure you make your check payable to Cornerstone UMC & sign the check. Second, please use an offering envelope. We use offering envelopes in our record keeping to make sure contributions are attributed to the right person or family. Your offering envelopes have a number unique to you that we use to keep track of your financial contributions. Also, the offering envelopes have a place for the total contribution you’re making, as well as a breakdown of where you want that money to go. For example, you might write a check for $200. That’s the amount that would be written in the total. Then you might want $75 to go to our Building Fund, so you’d write that on the envelope. And you might want the remainder to go to the Budget, so you’d write $125 on that line. The offering envelopes also have a place for you to designate other funds or special offering gifts. faithful support of your church. For groups to post their upcoming events, fundraisers, etc. Just send a .jpg (picture) of your event to Stacy in the church office and we'll get it posted on the website. All items will be checked for content & approved by the office before they will be posted. For questions, please contact the office at 636-379-5334. 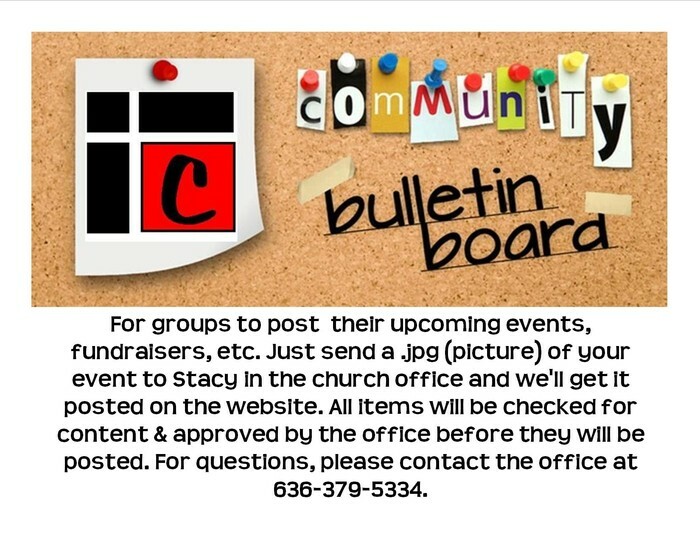 To see our community bulletin board, click here: http://umcornerstone.org/communitybb. Food Pantry Needs for May: Canned sloppy joe mix (Manwich) & canned pasta sauce. Please no glass containers! The Postal Food Drive is Saturday, May 14. We need volunteers to help collect food from the post office. If you can help, please arrive at the O'Fallon Post Office at 10 am (meet around back). We get requests weekly to either have fundraising events at the church or advertise fundraisers through the church publications. The Finance Team and Pastor are asking that every fundraising event, whether for a Cornerstone ministry, or for an outside organization, be approved by them. Simply contact the church office and fill out a fundraiser event request form. Thank you for your cooperation. Join the quest, CAVE QUEST that is! 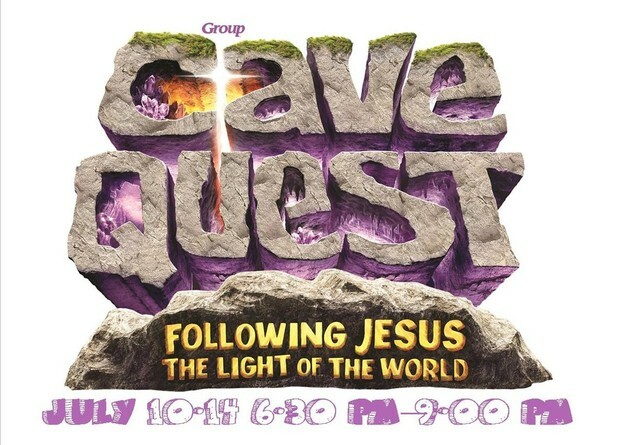 Registration for Cave Quest VBS (July 10 - July 14) is now open. Click anywhere on this text box to register, or visit our website (umcornerstone.org) or Facebook page for more information & to register. See Dawn Gerard with questions.